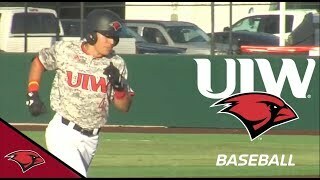 (1:06) The University of the Incarnate Word baseball team took a 6-4 decision over UTRGV on Tuesday night at Daniel Sullivan Field, sponsored by H-E-B.The Cardinals opened scoring in the bottom of the first when R. Gonzalez scored on a Taylor Smith single to give UIW an early 1-0 lead. Two home runs -- a solo blast by Arnold and a two-run blast by Smith -- in the bottom of the third extended the Cardinals' lead to 4-0. 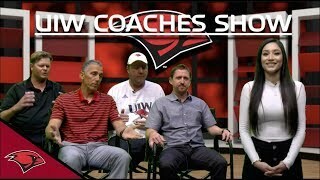 UIW increased its advantage further through the fourth and fifth frames. E. Gonzalez scored on an Arnold single in the fourth and Ryan Flores hit a solo home run to right center field in the fifth to put UIW up 6-0. The Vaqueros scattered four runs across the sixth, seventh and eighth innings, but the Cardinal defense stayed strong to secure the 6-4 victory. (1:01) University of the Incarnate Word track and field senior Sarea Alexander was named NCAA Outdoor Track & Field National Athlete of the Week, voted on by the U.S. Track & Field and Cross Country Coaches Association on Tuesday. This marks the first time in program history for a Cardinal to earn this honor. 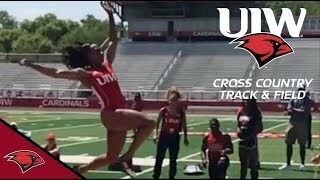 The national recognition comes after Alexander delivered a pair of record-breaking marks in both long jump and triple jump over the weekend at the UIW Invitational at Benson Stadium. The San Antonio native broke a 25-year-old Southland Conference record in triple jump on Saturday, jumping 13.42 meters (44-0.5) to become the first SLC woman in conference history to record over 44 feet in the triple jump. She did so after setting the best long jump distance in the country on Friday, when she hit 6.60 meters (21-8.0). Alexander now stands atop the country in women's long jump, along with Taishia Pryce of Kansas State. 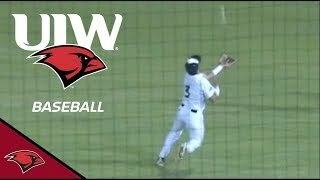 (1:40) The University of the Incarnate Word baseball team defeated Prairie View A&M, 16-3, on Tuesday night at Daniel Sullivan Field, sponsored by H-E-B.The Cardinals began scoring in the bottom of the first when Valdez hit a solo home run to right center field to give UIW an early 1-0 lead. Four runs in the bottom of the third -- a Ryan Flores solo home run, a two-RBI single by Ridge Rogers, and a Shea Gutierrez RBI single -- gave UIW a 5-0 advantage. In the bottom of the fourth, Valdez came home on a wild pitch and Medina hit a two-RBI double to extend the Cardinals' lead to 8-0. Arnold scored on a passed ball in the fifth and Medina came home on a Lee Thomas single in the sixth to stretch UIW's lead to 10-0. The Panthers got on the board with a three-run home run in the top of the seventh to make the score 10-3, in favor of UIW. The Cardinals responded with five runs in the bottom of the frame, including a two-RBI single by E. Gonzalez, a RBI single by Thomas, a RBI single by Tyler Pettit, and a wild pitch to plate Medina, increasing their lead to 15-3. Kendall Achilles then came home on an E. Gonzalez triple in the bottom of the eighth to secure the 16-3 victory. 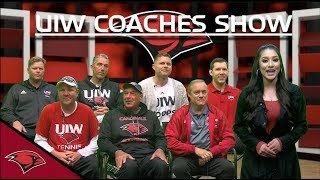 (1:00) It was Pro Day at the University of the Incarnate Word as multiple impact players from 2018 participated in drills.Plenty of scouts were on hand and interested in what the Cardinals had to offer! 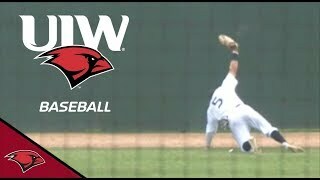 (2:00) The University of the Incarnate Word baseball team defeated No. 7 Texas, 3-2, at Nelson Wolff Municipal Stadium in front of a program-record 2,872 fans on Tuesday night.-This is UIW's first victory over Texas in the three times the squads have met. 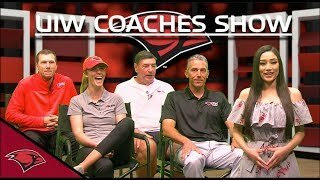 -This is the first time in program history that the Cardinals have defeated two ranked teams in a season (also then-No. 23 Texas A&M Feb. 27). -This is also the first time in program history that the Cardinals defeated three Power 5 opponents in a season (Notre Dame, 15-7, Feb. 23; Texas A&M). - Eddy Gonzalez had a 2-for-3 outing with a run. - John Shull earned the win, striking out five batters in 5.0 innings pitched. - Luke Taggart recorded the save, striking out a batter in 1.1 innings. 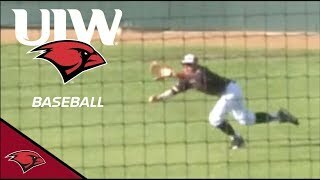 (2:00) he University of the Incarnate Word baseball team won a back-and-forth battle, 6-5, against Texas A&M-Corpus Christi on Saturday afternoon at Sullivan Field, sponsored by H-E-B. (0:43) The University of the Incarnate Word softball team played a home series versus Texas Southern at the newly renovated H-E-B Field after three weeks on the road.#10 HOPE SOBOLEWSKI hits a walk off RBI to seal the victory for the Cardinals! (2:01) The University of the Incarnate Word baseball team closed out its three-game series against UT-Arlington with a 6-2 win on Sunday afternoon at Daniel Sullivan Field, sponsored by H-E-B.The Mavericks opened scoring in the top of the second, plating two runs to take the lead, but the Cardinals responded. UIW exploded in the bottom of the fourth, scoring four runs on six hits to take a 4-2 lead over UT-Arlington. The Cardinals added another run in the fifth frame when Taylor Smith singled to bring home Antonio Valdez, extending the lead to 5-2. UIW tacked on another run in the sixth inning with a Jordan Thompson sacrifice fly that scored Sean Arnold and secured a 6-2 win for the Cardinals. 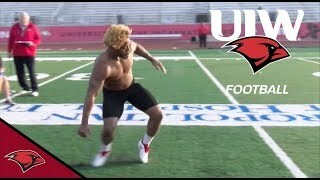 (1:27) The University of the Incarnate Word football program held its annual Spring Game on Saturday. Fans came to watch the reigning Southland Conference champions in action at Benson Stadium.For the most up-to-date information on UIW Athletics, visit uiwcardinals.com, follow the Cardinals on Twitter @UIWAthletics and like UIW Athletics on Facebook at UIW Athletics. 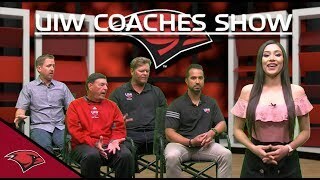 (2:01) The University of the Incarnate Word baseball team secured its second win over a Power 5 team in five days, this time with a 6-5 victory over No. 23 Texas A&M on Wednesday night at Blue Bell Park. (3:10) The University of the Incarnate Word baseball team secured the series win against Hofstra with an 11-1 victory on Sunday afternoon at Sullivan Field sponsored by H-E-B.The Cardinals take part in the annual Alamo Irish Classic tournament against Notre Dame and Eastern Michigan at Wolff Stadium on Feb. 21-24. 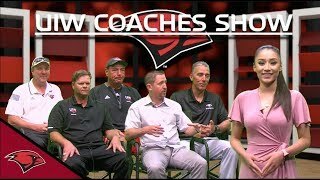 The tournament includes two matchups against Eastern Michigan and two matchups against Notre Dame.For the most up-to-date information on UIW Athletics, visit uiwcardinals.com, follow the Cardinals on Twitter @UIWAthletics and like UIW Athletics on Facebook at UIW Athletics.